Reach up and over to illuminate commercial signs and awnings using this contemporary Gooseneck Lighting. Here, a 7" Domed Shade and long, arching gooseneck arm combine to make an adept commercial light fixture. All parts are made from high-grade aluminum, right down to the 4 5/8"D mounting plate. And aluminum is finished with a rust resistant powder coated paint for superior outdoor performance; available in 25 different colors. Standard gooseneck lights are wired for incandescent lamping with 100W service. Back plates have 3 1/2" holes situated on center for easy installation to standard 4" boxes. For options besides incandescent, please call for details and a price quote. 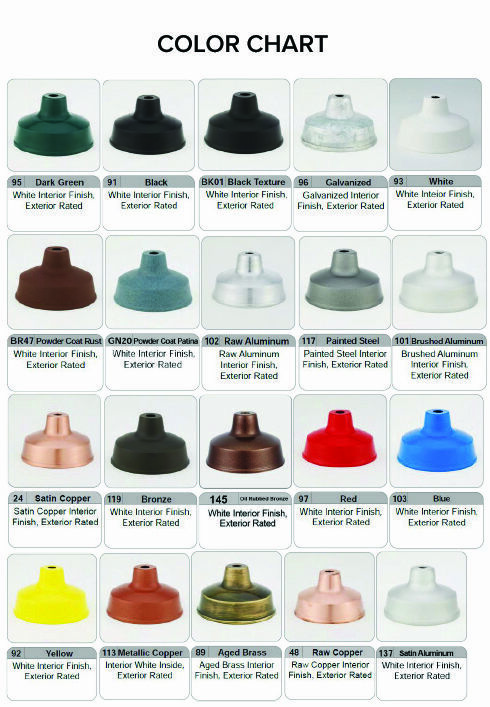 Sign Bracket Store also offers LED, compact fluorescent, and HID gooseneck lighting options. Swivel couplings also available to create adjustable sign lights. Additional cost applies for accessories and non-standard options.